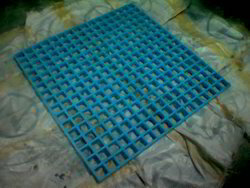 We are a leading Manufacturer of industrial frp linings from Rajkot, India. We hold expertise in offering our clients a wide range of Industrial FRP Linings. This entire offered range of the products is developed using optimum grade raw material sourced from the most trustworthy vendors of the market. Owing to its long service life and superior quality our entire range of these products are widely acclaimed in the market. Looking for FRP Linings ?